get ready for for halloween with a pre-treat. receive a free 5 minute pedicure massage, Callus remover, or paraffin with your pedicure. no tricks, just a manicure treat! $5 manicures WITH A REGULAR PEDICURE. 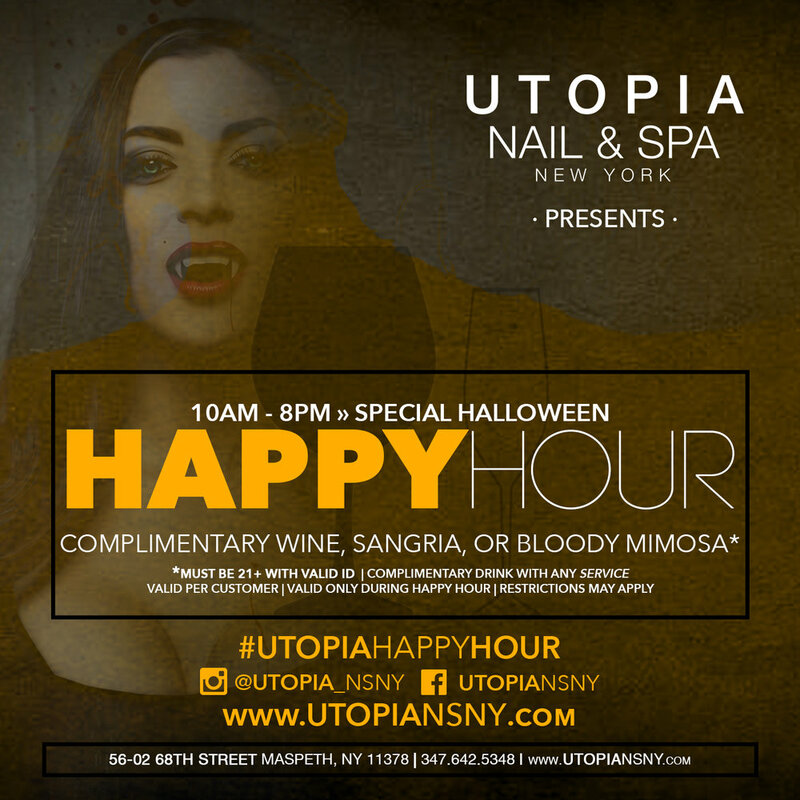 Enjoy another treat at Utopia, our special Halloween Happy Hour. We're offering complimentary Rosé wine, sangria, and bloody mimosas during our extended happy hour starting at 10am.